17. 02. 2019 13:39 19 (4 - Lappi Esapekka / Ferm Janne): I expected the conditions to be worse in the beginning of the stage. I was too cautious but then I started to push. 17. 02. 2019 13:30 18 (4 - Lappi Esapekka / Ferm Janne): Good. It was so much more tricky than the first one. The grip is 30% less maybe. You need to be careful but on it at the same time. 17. 02. 2019 13:22 17 (4 - Lappi Esapekka / Ferm Janne): Good, good. Quite a clean stage, a few small mistakes but otherwise clean driving and no risks. 17. 02. 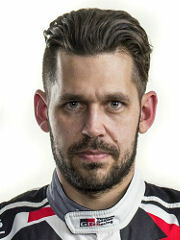 2019 04:28 16 (4 - Lappi Esapekka / Ferm Janne): I think a good job today. The afternoon was strong. Okay, Ott was killing me, but I have to be happy. 17. 02. 2019 04:24 15 (4 - Lappi Esapekka / Ferm Janne): That's good but it's a very tricky stage. The ruts are everywhere and they are full of water. It feels like it is not getting any better. 17. 02. 2019 04:18 14 (4 - Lappi Esapekka / Ferm Janne): And I stayed on the road. For sure I didn't push enough. If I push harder I will do mistakes. So this is my speed. 17. 02. 2019 04:09 13 (4 - Lappi Esapekka / Ferm Janne): Good, good. I'm trying. This is an easy car to drive but it's tricky here. Being on the pace and to be off is a very fine line. Lose the car in the slush and you can lose the whole race. 17. 02. 2019 04:00 12 (4 - Lappi Esapekka / Ferm Janne): I just kept it on the ruts. It feels slow but it's efficient. Very nice to get some feedback that I'm driving well. 17. 02. 2019 03:48 11 (4 - Lappi Esapekka / Ferm Janne): I did a perfect stage, I enjoyed it a lot but the time is complete rubbish. That's how it is. 17. 02. 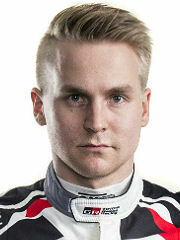 2019 03:41 10 (4 - Lappi Esapekka / Ferm Janne): The car is handling how I want but I'm just not brave enough any more. I'm too cautious, losing a lot in the high-speed places. I guess it's from my mistake yesterday. I don't want to do that again. 17. 02. 2019 03:34 9 (4 - Lappi Esapekka / Ferm Janne): I don't know. It felt quite a steady run in here. Nothing special and no risks. Too slow at the beginning for sure. 17. 02. 2019 03:16 8 (4 - Lappi Esapekka / Ferm Janne): A difficult day, there have been many mistakes - including one from me. The conditions were tricky. I expect more tyre management tomorrow. 15. 02. 2019 17:11 7 (4 - Lappi Esapekka / Ferm Janne): I'm doing what I can. It's ok, part of the game, you hit a bank and sometimes it catches you. It was my mistake, and a stupid one. When you push you take the risks, and mistakes happen. That happened to me today. 15. 02. 2019 15:53 6 (4 - Lappi Esapekka / Ferm Janne): Just keep it in the ruts and that's it. We are missing our front splitter so we have no front aero. It's not comfortable at speed but we can manage. 15. 02. 2019 14:29 5 (4 - Lappi Esapekka / Ferm Janne): I got caught by a short right-hander in 5th gear. I hit a bank and almost rolled. It took a lot of time, for sure. 15. 02. 2019 10:05 3 (4 - Lappi Esapekka / Ferm Janne): A bit better than the previous one but with this push the time should be better. No issue but I just can't go faster. 15. 02. 2019 09:51 2 (4 - Lappi Esapekka / Ferm Janne): Quite ok. Some really small things and maybe I'm driving a bit wrong. I need to find out more. 14. 02. 2019 21:06 1 (4 - Lappi Esapekka / Ferm Janne): My approach hasn't changed since Monte Carlo. We'll go flat-out and then we'll see where we are.